This was highlighted by outgoing COP23 President and Prime Minister Voreqe Bainimarama at the closing of the ministerial talanoa dialogue at COP 24 in Poland yesterday. 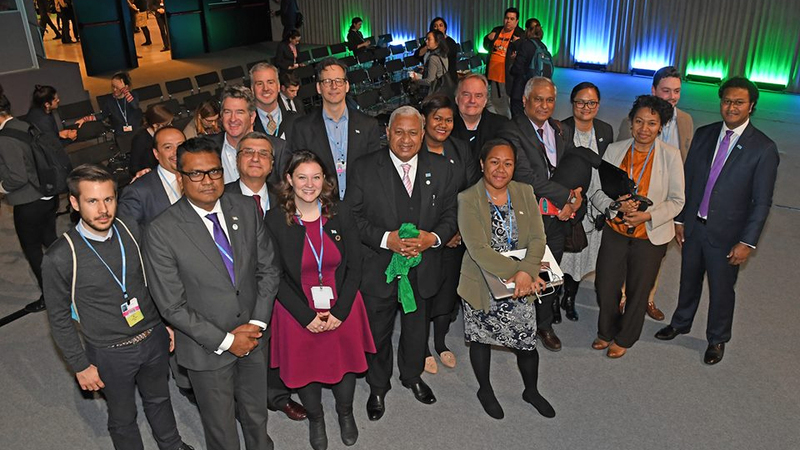 Bainimarama says it’s of great pride for Fiji that the Talanoa methodology has reached another level at COP24 – as ministers worldwide joined leading non-party stakeholders in dialogue about how we can raise ambition in the climate action struggle. He says the exchange of ideas and best practices that has taken place must now be translated into concrete action, reviewing the nationally determined contributions. Bainimarama also appealed to those present to return to their capitals with this Talanoa Call to Action and demonstrate the political will that is necessary to move this process resolutely forward by 2020. He adds that we face the starkest of choices and we must act decisively to embrace the new technologies that will pave the way to a clean energy future and ensure our future prosperity. The COP23 president encouraged the Polish chair and those involved in the fight against climate change to continue to talanoa as one world for more ambition and more action.